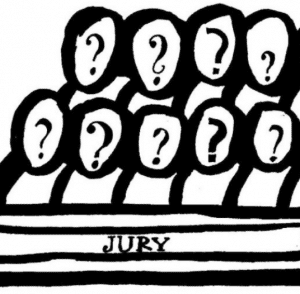 Why exactly are people randomly picked to serve on a jury? Wouldn’t it be better to let legal experts decide important court cases, and a not a dozen random strangers? Who came up with this system, anyway? The answer to that last question, like most, is the ancient Greeks. In the groundbreaking Athenian democracy created in 507 B.C.E., all court cases were decided directly by the people. 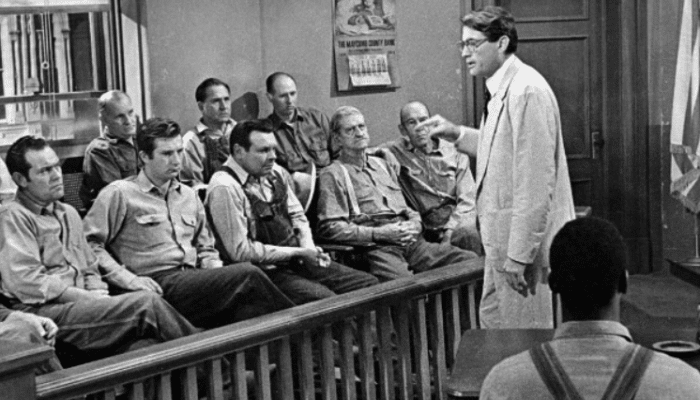 Huge juries of 500 people or more were selected every day from a pool of roughly 40,000 adult male citizens to rule on everything from murder cases to neighborly squabbles [source: History.com. The Magna Carta, penned in 1215, expressly included the right of every free man to protection from punishment without “the lawful judgment of his peers” [source: Library of Congress]. 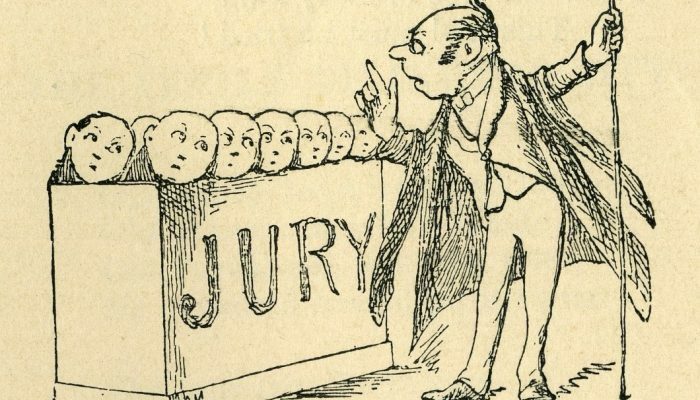 The 18th-century framers of the United States Constitution believed that a trial by an impartial jury was among the principle rights of any free society. In fact, the Fifth, Sixth and Seventh Amendments to the Constitution ensure the right to a jury in both criminal and civil cases [source: U.S. Courts. 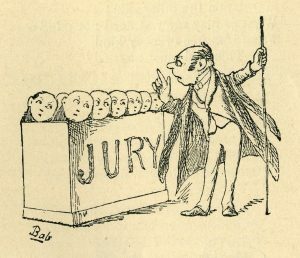 Today, U.S. federal law states that juries must be “selected at random from a fair cross section of the community … wherein the court convenes.” Hence the computer-selected names from a list of registered voters and licensed drivers. The law further states that “all citizens shall have the opportunity to be considered for service … and shall have an obligation to serve as jurors when summoned for that purpose” [source: Cornell University Law School. 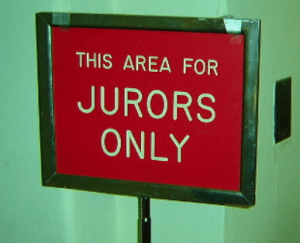 These two components of the U.S. jury system — randomness and compulsory service — combine to ensure that a jury is a representative sample of the community regardless of race, gender, political affiliation or ability to weasel out of jury duty. The following article is by Stephen D. Susman, Executive Director of Civil Jury Project at NYU. Six years ago, when I turned 70, I began thinking that I might end my career as a trial lawyer by teaching trial advocacy at some law school. But I came to the quick conclusion that teaching dinosaur hunting was not the best use of my remaining years. So I became involved as co-chair of the American Board of Trial Advocates Save Our Juries Committee. It took me a few years to realize that bar organizations were not the way to have an impact on keeping jury trials viable: trial lawyers were gung-ho to work on non-billable projects only twice a year at conventions. Besides, they were too self-interested, too divided by loyalty to clients who wanted to go to trial and those who didn’t, too conservative to try new things, and too busy between conventions, to get anything done. So I came up with the idea of establishing an academic center at a law school that put together an alliance among academics, jurists and trial consultants to try to prevent the disappearance of jury trials. And I agreed to serve as an adjunct faculty member and the executive director on a pro bono basis. The CJP was established at NYU School of Law in the fall of 2015 as the only academic center in the nation studying why jury trials are disappearing, whether we should care and if so, what can be done about it. The CJP now has almost 250 Judicial Advisors (proving that most trial judges still want to try cases), and 9 of whom are on your court (proving that you are one of the benches most interested in trying cases). We also have 65 Academic Advisors and 35 Jury Consultant Advisors. By teaching a course on How to Try a Jury Trial Intelligently, I had occasion to study the historical and empirical research attempting to identiy the causes of the decline. I quickly came to the conclusion that the main reason was that large businesses, in the early 80s, wanted to get rid of jury trials and that they had succeeded in doing so by getting law-makers and judges to reduce the number of causes of action and the number of trials. Reversing this intentional reduction is beyond what an academic center can hope to accomplish, but we can pursue a more modest goal of getting the most out of what’s left, and we can prevent jury trials from disappearing altogether simply because neither judges nor litigators are comfortable with conducting them. I have also concluded that federal judges are the single most likely group able to accomplish this. First, though most jury trials are conducted in state courts, federal judges have typically been thought-leaders in judicial reform. Second, none of the reforms we suggest for improving civil jury trials are prohibited by federal law or federal rules. 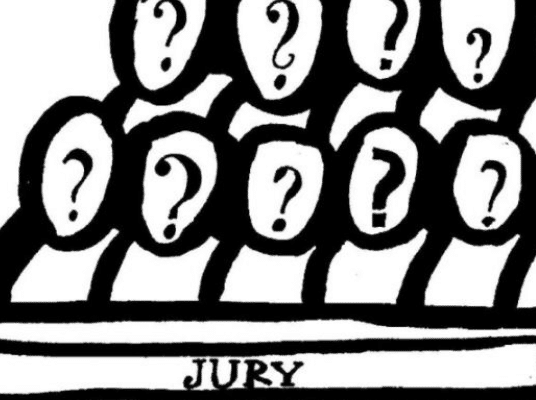 What’s it like to be a juror on a high-profile case? There were two high profile trials are dominating the news in Massachusetts in 2015. Former Patriot player Aaron Hernandez and accused Boston Marathon bomber Dzhokhar Tsarnaev. Here is some insight into how the jurors were felt. Selecting the jury is an intense process, as we have seen with both of these cases, but serving on a jury rivals that for the jurors, who are inundated with graphic testimony and images. FOX 25 decided to talk to some local jurors who served on some high profile cases around the area, to see what these jurors will have to deal with during the trial, and after it’s all over. High profile local trials, seared in our minds, and our criminal history. Neil Entwistle killed his wife Rachel and their baby Lillian Rose. Nate Fujita is a young man who brutally took the life of his beautiful girlfriend Lauren Astley. And James “Whitey” Bulger is the notorious mobster who was convicted of racketeering, involved in 11 murders. The defendant always takes center stage during trial, but it’s the people we don’t usually see, the ones who are serving the highest duty of citizenship who are so critical to the process. FOX 25’s Maria Stephanos spoke with four jurors. When you talk with these people you realize how these trials have had a profound affect on their life. “Sleeping was difficult. I just couldn’t get this thing off my mind,” said Michael Doherty, the jury foreman for Fujita’s trial. The following appears in the Examiner. It is a Q & A segment. Q: “How do I get out of jury duty.” from Bryan. A: Dear Bryan: seriously, shame on you. Simple answer, DON’T. One sure way to get out of being on a jury is to be a criminal defendant. Then you don’t have to sit on a jury and, at the same time, you will hope to God that you will have a group of people who didn’t try and evade their civic responsibility and are willing to sit and fairly hear your case and defense. Another way is become a convicted felon and be deprived of your constitutional rights such as bearing arms, being free from unlawful search and seizure, and the ability to sit on a jury or vote. The original founders, who fought and died for our independence called the right to a jury a: “A sacred right” …. “the most important privilege which freemen can enjoy”. The deprivation of a right to jury trials was one of the main grievances leading to the Revolutionary War. This right is listed in the Magna Carta,the Declaration of Causes and Necessity of Taking Up Arms (1775) and the Declaration of Independence (1776). 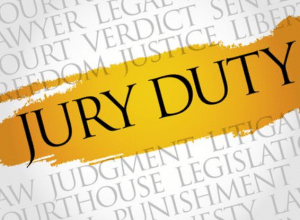 So, jury service is not a hassle, it is a sacred duty people died for. It is part of what we are fighting to establish all over the world with our armed forces. The California Constitution Article 1, Sec. 16. states “Trial by jury is an inviolate right and shall be secured to all, but in a civil cause three-fourths of the jury may render a verdict. A jury may be waived in a criminal cause by the consent of both parties expressed in open court by the defendant and the defendant’s counsel. In a civil cause a jury may be waived by the consent of the parties expressed as prescribed by statute. 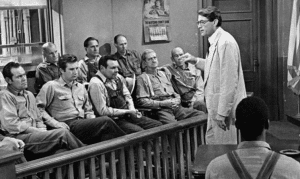 In civil causes the jury shall consist of 12 persons… .” In criminal actions in which a felony is charged, the jury shall consist of 12 persons, in misdemeanor cases the parties can agree to a lesser number. Click here for FULL answer and article. After receiving the instructions and hearing the final arguments, the jury retires to the jury room to begin deliberating. In most states the first order of business is to elect one of the jurors as the foreperson or presiding juror. This person’s role is to preside over discussions and votes of the jurors, and often to deliver the verdict. The bailiff’s job is to ensure that no one communicates with the jury during deliberations. In some states, the jury may take the exhibits introduced into the record and the judge’s instructions to the jury room. Sometimes the jury will have a question about the evidence or the judge’s instructions. If this happens, the jury will give a note to the bailiff to take to the judge. 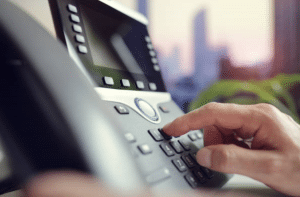 The judge may respond to the note, or may call the jury back into the courtroom for further instructions or to have portions of the transcript read to them. Of course, any communication between the judge and jury should be in the presence of lawyers for each side or with their knowledge. Usually the court provides the jury with written forms of all possible verdicts, so that when a decision is reached, the jury has only to choose the proper verdict form. In most instances, the verdict in a criminal case must be unanimous. In some states a less than unanimous decision is permitted in civil cases. All federal cases require a unanimous decision. If the jury cannot come to a decision by the end of the day, the jurors may be sequestered, or housed in a hotel and secluded from all contact with other people, newspapers and news reports. In most cases, though, the jury will be allowed to go home at night. The judge will instruct jurors not to read or view reports of the case in the news. Nor should they consider or discuss the case while outside of the jury room. 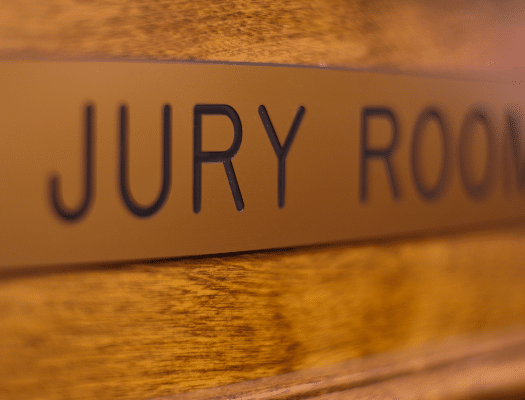 If the jurors cannot agree on a verdict, a hung jury results, leading to a mistrial. The case is not decided, and it may be tried again at a later date before a new jury. Click here for more information from American Bar Association. The jury fulfils a very important function in the legal system. You are entitled to be tried by jury unless the alleged offence is a minor one or one that is being tried in the Special Criminal Court. However, a jury is not required in every legal case. There will be a jury in some civil cases such as defamation and assault cases. However, for the majority of civil cases such as personal injuries actions and family law cases, there is no jury – it is the judge who decides the outcome. The jury consists of 12 members of the public who sit in a box to one side of the judge. One of the jurors is selected as a foreman of the jury by the members of the jury before the case starts. He or she acts as an informal chairperson and spokesperson for the jury. The 12 jurors in a case are selected from a number of people who have been called to do their jury service on that day. Section 23 of the Courts and Civil Law (Miscellaneous Provisions) Act 2013 amended the Juries Act 1976 so that the jury can consist of up to 15 members, if the case is expected to last more than 2 months. The jurors are charged with the responsibility of deciding whether, on the facts of the case, a person is guilty or not guilty of the offence for which he or she has been charged. The jury must reach its verdict by considering only the evidence introduced in court and the directions of the judge. The jury does not interpret the law. It follows the directions of the judge as regards legal matters. During all stages of the trial, jurors may take notes of proceedings. Jurors may also pass notes to the foreman or forewoman of the jury to ask the judge to explain certain aspects of the case. At the conclusion of the trial, the jurors are given an issue paper, which states the issues that the jury must consider in reaching its verdict. 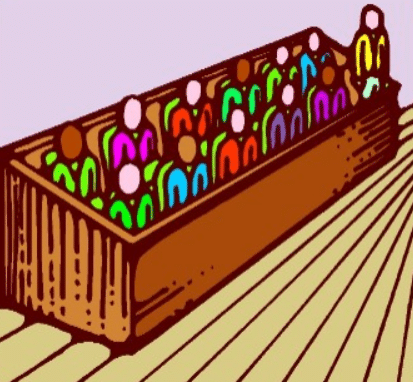 When a jury consists of more than 12 members, only 12 are selected to consider the verdict. Your public activity on various social media accounts like Facebook, Twitter, and LinkedIn are fair game. Have you been sharing or commenting on any relevant news articles? Did you recently write an opinionated Letter To The Editor? Do you belong to a particular group on Facebook? All of that could show a sign of bias. “In some cases it turns out political party affiliation is relevant and if that’s the case, then you start looking at political websites, Facebook pages, campaign contributions, all kinds of things that might indicate a political orientation,” Frederick says. By: Ruth Lee Johnson, J.D. The right to trial by jury is the only right that appears in b​oth the Constitution and the Bill of Rights. 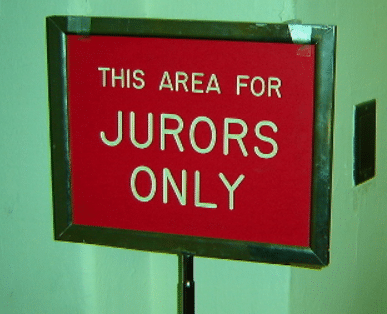 Despite the crucial role that jurors play in the legal system, as well as the inconvenience and disruption that individual jurors face by being selected, little resources have been dedicated to ensure their wellbeing. This becomes especially problematic if we consider the post-traumatic stress disorder (PTSD) symptoms reported by many criminal trial jurors following their service. 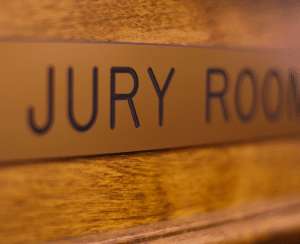 These symptoms arise from different aspects of the jury experience, including the following. Jurors for allegedly violent criminal defendants can be exposed to graphic testimony and photos, including images of victims, blood, and corpses. Oftentimes, these images would be shown repeatedly over the course of the trial. 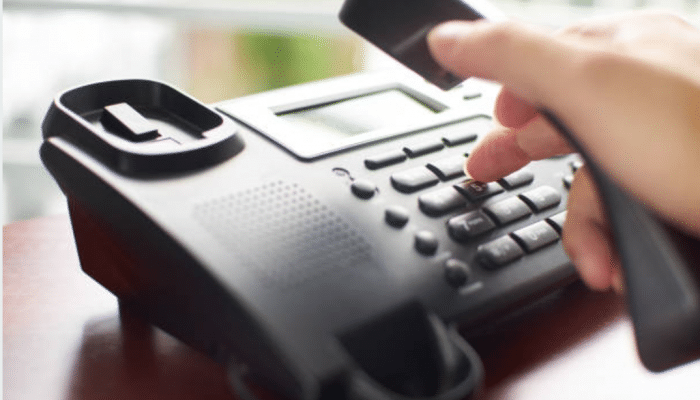 We answer ALL your questions about Juror Calling right HERE. Do I have to type in all the juror information? How will I know if notification was sent? These and others, Just CLICK HERE for the answers. The Juror Notification software can call, text, and email your jurors, this web-based system is able to notify your jurors of cancellations, changed court times, and send reminders of upcoming court dates and times.